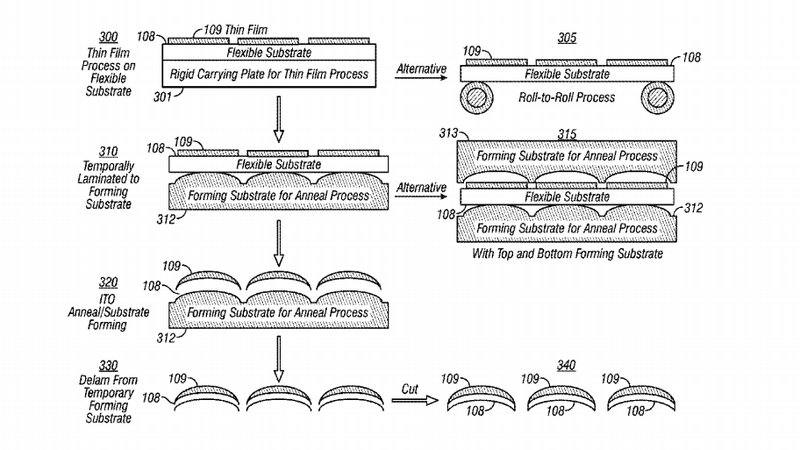 Move over Samsung and LG: Apple has been awarded a patent by the US Patent and Trademark Office that describes how they could manufacture a new breed of curved touch surfaces. Some current curved touch surfaces actually use a flat substrate, with a curved glass cover to provide the apparent bend. The new technique would eliminate such cheats and, according to the patent, could produce curved touchscreens that are thinner than those that use the trick. The patent also suggests that some more weird and wonderful shapes—like waves!—could be created by applying a second or third forming substrate along the way. Useless, perhaps, but fun.